No. of post: 17 nos. candidates will be paid a fixed monthly remuneration only. No. of post: 01 no. No. of post: 06 nos. labour dept for skill labour. time of walk in interview. 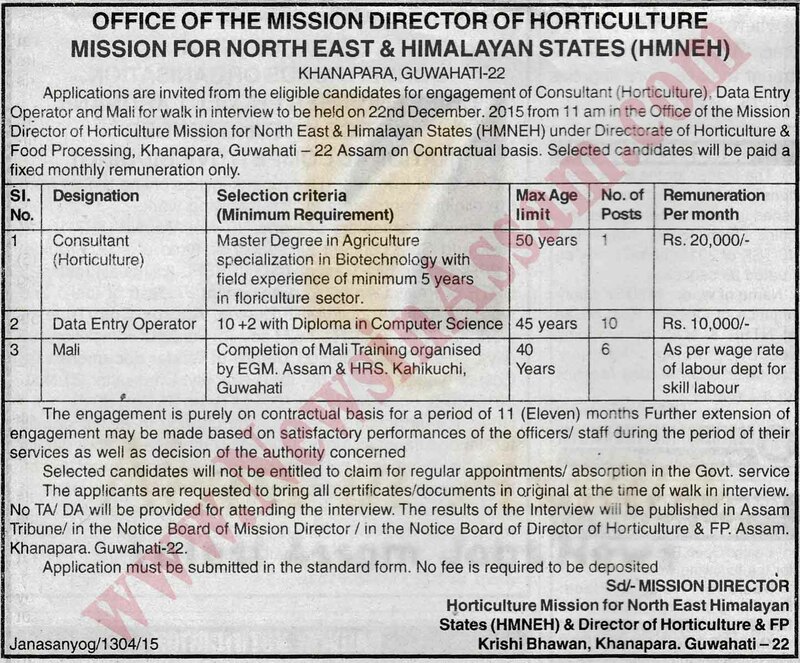 Mission Director / in the Notice Board of Director of Horticulture & FP.